Here it is! The press release for the Kat pendant. Emily Mah Jewelry Designs, a London based jewelry company, and author, Stephanie Burgis, have teamed up to offer jewelry based on Burgis's Kat Stephenson books. The first piece, a pendant of a Magick book featured in the novel, will debut the second week of April in Emily Mah Jewelry's Etsy store, http://www.emilymah.etsy.com/, for £14.95. Fans of Burgis's books will have the opportunity to win one of these pendants on April 5, 2011, the same day that Burgis's book, Kat, Incorrigible, is released in the United States. Burgis will hold the giveaway on her site, www.stephanieburgis.com. Fans will have another opportunity to win a pendant in a giveaway held by Emily Mah Jewelry Designs the second week of April. All who wish to enter may do so via the company's Facebook page, www.facebook.com/emilymahjewelry. Kat, Incorrigible is the first of a three book series that Burgis has written for Atheneum Books in America and Templar Books in the UK. It has already been released in the UK under the title, A Most Improper Magick, and has been selected by the Reading Agency for its 2011 Summer Reading Challenge, run through 95% of public libraries in the UK. The series heroine, Kat Stephenson, is a twelve year old girl who lives in Regency England and has a deep, dark family secret. Her mother was a scandalous witch who made little effort to hide her magical abilities. 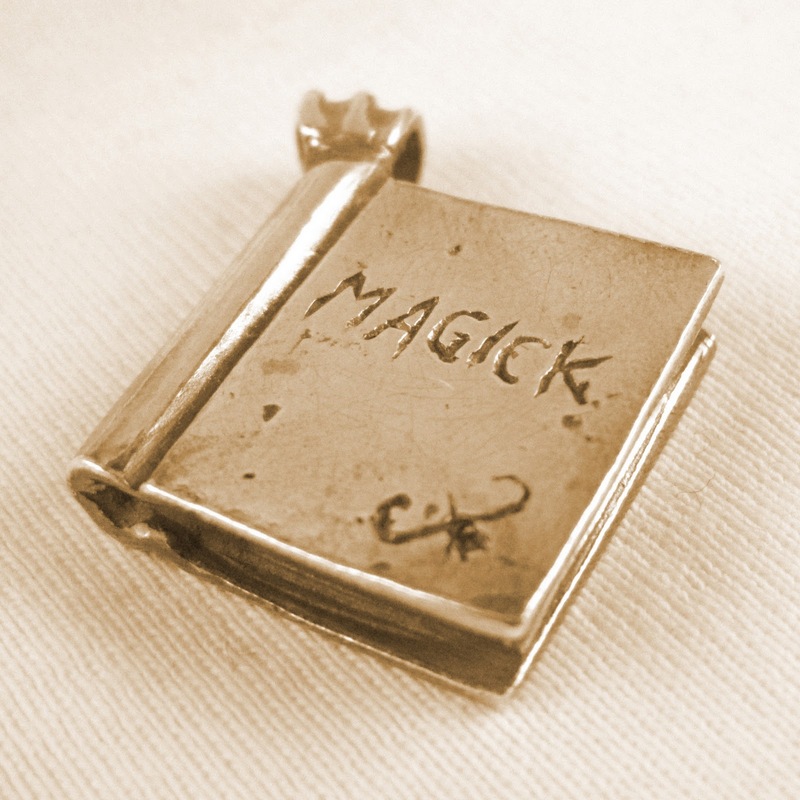 Mama died when Kat was still a baby and all that remains of her legacy are some personal items, including two magic books and a golden compact mirror that shows an extraordinary and supernatural affinity for Kat. With it comes a magical calling unlike anything Kat has ever dreamed of. Emily Mah Jewelry Designs has purchased the rights to create several pieces of jewelry based on the Kat Stephenson series, and each design will first be reviewed and approved by Burgis before it is offered to the public. Kat, Incorrigible is Burgis's first published novel and she has published over two dozen short stories in the fantasy and science fiction genres. Emily Mah Jewelry Designs is run by American expatriate, Emily Mah, a jeweller who specializes in a broad array of metalworking techniques and also a published science fiction and fantasy author. To find out more about Burgis's work and Emily Mah's jewelry designs, please visit http://www.stephanieburgis.com/ and http://www.emilymah.etsy.com/.